We are located squarely at the center of the city’s vibrant legal and business community, within blocks of federal, state, and county courts. Please contact us to learn more about our services or to inquire about representation in a specific matter. 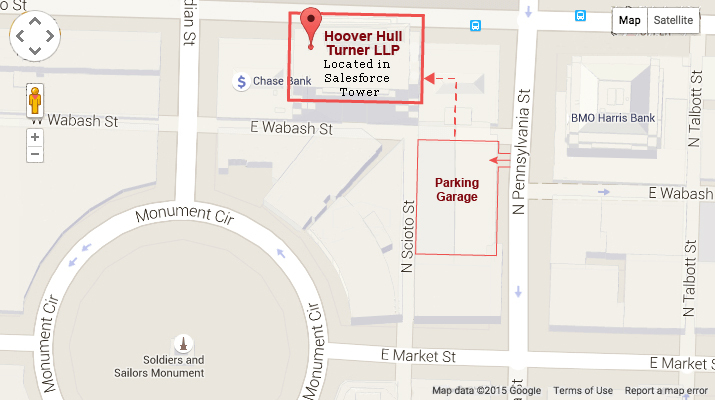 Parking is available in the Salesforce Tower garage, accessible from Pennsylvania Street.